Sign up for B2 here. Then pick “Preferences” from Arq’s menu, Destinations tab, and click the button to add B2 as a destination and choose/create a “bucket”. 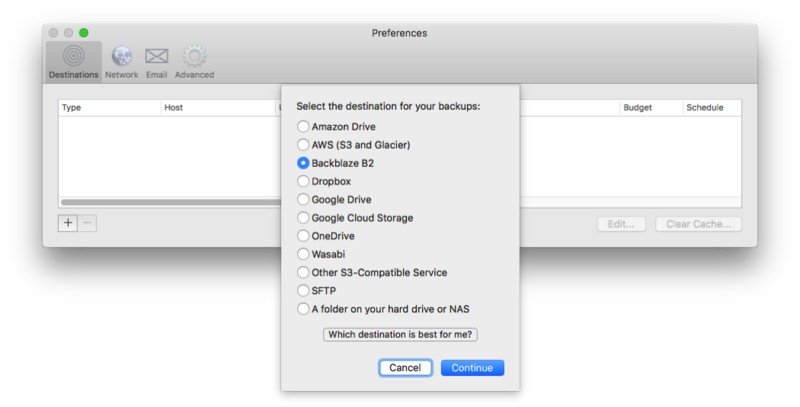 Then pick “Add Folder to Backups” from Arq’s menu to add the folder(s) you want backed up. If you’re not sure which cloud storage option is best for you, take a look at our Cloud Storage Guide! As always, if you’ve got any questions or comments, send us email at support@arqbackup.com. We strive to respond promptly and help you any way we can!